For senior homeowners needing some extra cash, it’s sometimes better to look backwards instead of forwards – with their mortgage, that is. Reverse mortgages are not easily understood, and many who could benefit from them shy away, afraid of making a mistake. Journalists who have only a cursory understanding of the product may contribute to this. This post lays out the pros and cons of reverse mortgages, and when you’re finished reading, you should be able to confidently determine if they are right for you or someone you care about. A reverse mortgage is exactly what it sounds like. With a forward (i.e., regular) mortgage, you start with a principal balance and make payments until the loan is paid off and you own your home outright. With a reverse mortgage, the lender makes payments to you. Repayment on a reverse mortgage is not required until the home is no longer your primary residence. Because you don’t make payments, lenders don’t care about your credit score or your income when you apply for a reverse mortgage. The most common reverse mortgage is the Home Equity Conversion Mortgage, or HECM. The program is administered by HUD, and its fees are regulated. HUD requires seniors to attend sessions with HUD-approved reverse mortgage counselors before they can take out one of these loans. About 90 percent of reverse mortgages are HECMs. For very low income seniors, Single Purpose reverse mortgages are a low- to no-cost option that can provide funds for home maintenance or property taxes. They are available from local governments and charitable groups. Proprietary reverse mortgages are funded by private lenders, and these companies make their own rules. You may be able to borrow a lot more money with these loans, but costs are much less regulated. Counseling is not required, but it’s probably a good idea – see below for more details. The more equity in your home, the more you can borrow. However, this amount also depends on your age (older people can borrow more), your home equity (if you have a mortgage, it must be small enough that the reverse mortgage can pay it off), interest rates and, for Home Equity Conversion Mortgages (HECMs), HUD’s loan limits. How should you take your proceeds? You can customize the way you receive your proceeds, depending on your use for the money. Your reverse mortgage counselor can help you with this. Lump sum payment: This is ideal for thing like paying for catastrophic medical expenses or consolidating debt. An unspent lump sum, however, can jeopardize your eligibility for government benefits tied to assets, like SSI and Medicaid. Reverse mortgage proceeds are not countable as income because they are loans. However, Medicaid and SSI eligibility requires applicants to have no more than $2, 000 ($3, 000 for a couple) in countable assets each day out of the month. So if you took a lump sum distribution and parked it in something like a high interest savings account, even just for a day or two, you’d be ineligible for these benefits. Monthly payments: Modified tenure gets you payments for a specified period of time, for example, five or ten years. Traditional tenure gets you payments for life. Although your payments will be considerably smaller, this is a good option for ongoing supplemental income. Line of credit: This lets you tap your home’s equity only when you need to. It can be the best choice, like credit cards which charge no interest until you use them. Combinations of the above options are also available, allowing you to customize your distribution; for example, a lump sum to pay off debt and a line of credit for emergencies. Like all financing, reverse mortgages come with costs. There is mortgage insurance, which is paid upfront and costs one-hundredth of 1 percent (0.0001) of the property value for HECM Saver (which has lower borrowing limits) or 2 percent for HECM Standard. On a $300, 000 home, that’s $30 for the Saver and $6, 000 for the Standard. Then there are other charges and of course interest. Lenders have to give you a disclosure called the Total Annual Loan Cost (TALC) which lets you compare reverse mortgage costs. Because the upfront costs can be substantial, reverse mortgages may not be appropriate for those who can qualify for less-costly home equity loans instead. You should also think twice if you are in poor health or are contemplating a move within the next few years. If you have decided a reverse mortgage is your best bet, talk to a reverse mortgage counselor so that you can be an informed shopper. Along with local HUD-approved counseling agencies, there are a number of national counseling agencies that can assist you. While HECM loans are regulated, proprietary loans are not, and even HECM lenders do price differently. Whether counseling is required or not, it’s smart to compare reverse loans and be fully informed before committing to a product. Lisa White is a writer, editor and marketing professional with more than 25 years of experience. She has worked for a number of corporations, business and consumer publications and associations in a variety of industries, including food/foodservice, retail, distribution, venues/entertainment, finance, health care and insurance. White’s background includes serving as editor for four magazines and assisting in the start up of three publications. She has been an independent writer since 2001 and is based out of the Chicago area. 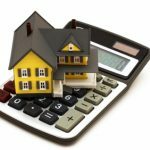 Are Biweekly Mortgage Payment Plans Worthwhile? Maybe I’m missing the point. I’m a boomer and I am proud to have survived into the retirement years. I’m not retired. Just proud to be here. I live in the international community you know as Miami…moved here from the insular world of eastern Kentucky a decade ago. What I see and what I’m sensitive to here with all the foreign nationals around me is two things. First, currency rates create buying power. Second, cash is king when buying distressed property. Currency rates for most people is the difference between foreign currency and US currency. Foreign nationals from Britain and Canada are delirious over what they can now buy in Florida because of the currency rate favoring their money because of a weakend dollar. As a transplant from the North (everything is “North’ when you live here) I started looking into the areas where my fellow boomers migrate to retire here. No where in the country (where anyone would want to retire) is there a property depression like there is here in South Florida. That brings me back to the currency issue and the Reverse Mortgage Purchase. If someone wanted to retire to Florida but lives in the Northeast, the difference in what the equity you may have lost there and the equity value depression here is greater than any foreign currency gain from any country outside of the US. You sell your Boston, New York or Philly house at a 10% equity loss and net $400,000. You come to South Florida and, at 65 would bring about $230,000 cash to closing to buy a house worth half a million. The HECM Purchase has been available to Boomers and Seniors since Jan 1, 2009. Don’t just reverse, retire somewhere warm and enjoy life again. Can any body give me some advice. I am a 69 year old man single, and with no dependents. I own a home which is worth about $800k. Currently I have a mortgage which is an (ARM) with and interest of 3.6%, the payments are $1200.00 and the balance of the loan is $375000. 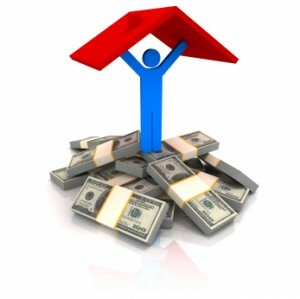 The loan will mature in 2013, I due to interest increase I think my payments will increase from $500 to $800 a month. My income is close to $4800 a month. The taxes and insurance on the house are close to $6000 a year. pay off the current loan which would leave more room to pay taxes and insurance and less worry about monthly mortgage payments. I intend to live in my house for the rest of my life. I am a HUD-certified reverse mortgage counselor. I really enjoyed reading this article. 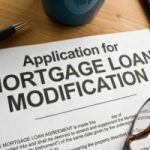 I get tired of reading negative articles about reverse mortgages. I’m not going to say that everyone should get a reverse mortgage, it’s not for everybody, but it is nice to hear someone talk about the good points of a reverse mortgage. As for a response to Lilly, if your husband wants to take out a reverse mortgage, maybe you should look at a line of credit and postpone giving your children an inheritance right away. The line of credit is a good option for people who don’t need all the money available from the reverse mortgage. You only pay interest on the loan balance and the line of credit will grow at the same rate as the loan balance plus 1.25% (as of 8/4/11). The longer you leave the money in the line of credit, the more money that would be available to you. But don’t consider a reverse mortgage until you have considered your future needs. Will you need to make modifications on your house (if all your bathrooms are on the 2nd floor and you have difficulty with stairs, etc.) Also, consider your future financial needs. Are you provided for financially after your husband passes away? The best thing to do is to consult the reverse mortgage counselor who conducted your counseling and ask questions. That said, I also have considered taking out a reverse mortgage at this time, since values of homes are dropping. So the sooner one takes out the reverse mortgage – the better, especially since interest rates are very low. If you are going to do it, I would do it sooner than later. I though was going to use my reverse mortgage to buy, a business that showed proven income that would make it possible for me to pay back the reverse mortgage within ten years, and bring in extra income at the same time. The only reason I am not jumping at doing the reverse mortgage, is because in all businesses it is a gamble and I have a situation that I must make sure that I leave something for my children. L. R., Thanks for your input. It is good to hear other opinions. My personal opinion is that a reverse mortgage should not be used for luxury items and to give to your kids unless you are sure that you are financially set for the rest of your life. First of all, if you wait to give your children an inheritance upon your passing (which could be 20 to 30 years from now), you will probably be able to pass on much more in equity at that time since reverse mortgages do not give you the full equity. Next,unless you are financially set for the next 20 or 30 years (especially after your husband passes), I would not take out a reverse mortgage for luxury items. You may lose your medicare which is important. I would only take out a reverse mortgage if I was desperate, or had something else that I could invest it in that would make up for the equity I would lose in the negative amortization. I am 63 and in good health; my husband is 64 and is not in good health. With the cancer he has, it is possible he might die in 10 years or less. We own our home which is valued between 300,000 and 350,000. 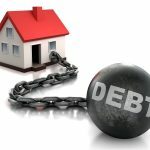 Although we do not need the money for ourselves as we are well off, my husband wants me to agree to a reverse mortgage, depending on the amount of money we can get for our house. He says he wants to give each of our 4 grown and independent children money while he is still alive and can enjoy giving it to them and use the rest of the money for luxury purchases or investment in a vacation home. I am hesitant to do this. He rushed me through a counseling session only after he had just informed me of this desire so that the process could go forward and he could find out how much money we can get. Now I am reading articles on reverse mortgages and because I could live a very long time @ 90-110 years of age I do not know if this is a good idea for me. I may not want to stay in this home for the remainder of my life. I have other questions about how it will effect me concerning other government programs for the aged. Can any one guide me to an independent counselor or give me any advice? I live in AL. Great article. Reverse mortgages can be very confusing. My main concern is more of a personal one. One of my relatives has recently had their pensions drastically cut and money is very tight. I have heard them talk about a reverse mortgage and I said that I thought it was a bad idea. They are not that old and they are in relatively good health. I am scared of them outliving the equity that they have in their home. They still have a mortgage and are about 15 or so years from paying it off. Maybe I am being too overprotective, but they just kind of scare me.